The Asian Pacific American Student Assembly (APASA) is the representative voice of 27 member organizations and the undergraduate Asian Pacific American (APA) student body at large. Come meet our organizations! Click on any organization to learn more about the club & their mission! Description: The Asian American Business Association (AABA) at USC is an active student organization that emphasizes professionalism and cultural awareness on campus. As a Marshall organization, AABA has a strong twenty-year history of providing students a number of services—job prospects, career workshops, corporate events, mentorship, and socials. The organization has grown in its commitment to offer its members the best opportunities in order to meet the expectations of a very competitive business world. Mission: To present to members an array of career enhancement opportunities in an open, professional community. To provide a fountain of practical business knowledge for entry into business. To instill cultural awareness and an international focus in the global economy. 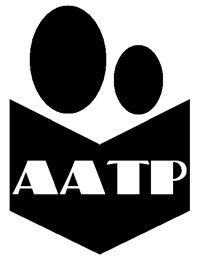 Description: Since 1969, the Asian Education Project (AEP), now known as the Asian American Tutorial Project (AATP), has gone to Castelar Elementary School in Los Angeles Chinatown to tutor immigrant children in the hopes of allowing the Project’s members an opportunity to interact with the children on academic, social, and recreational levels. 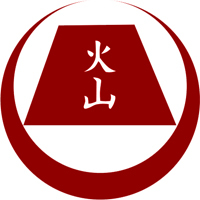 AATP has been at the forefront of the movement to meet the pressing educational needs of the immigrant youth population of the Chinatown community. Annually, AATP has a pool of approximately 200 tutors from UCLA, USC, and Occidental College who provide tutorial and mentoring services every Saturday morning to the students of Castelar Elementary. Mission: Our vision is to aid the children of Castelar Elementary in the attainment of their goals and the pursuit of their dreams by instilling confidence and providing exposure to the world outside Chinatown. Description: APAMSA is a pre-med group that aims to provide support, volunteering opportunities, mentoring, guest speakers, and many resources to pre-med students at USC. Weekly meetings include presentations, discussions, speakers, and health skill training. Health fairs allow members to work directly in the community either doing educational projects or health screenings that include administering and assisting with blood pressure, blood glucose, BMI, and Hepatitis B/C. We provide an encouraging and open environment for students to learn and prepare for the medical school admissions process, including advising about extracurriculars, pre-med classes, and medical ethics. Mission: Our mission is to address medical issues in the community, particularly those that affect Asian Pacific Americans. We also aim to provide students with hands-on experience and exposure to medical-related careers in order to help them on their journey to becoming well-rounded, competent physicians. Description: The USC Asian Pacific Cinema Association (APCA) aims to provide creative and professional opportunities for undergraduate and graduate level students interested in any aspect of the film industry. The organization hopes to foster a community of individuals passionate about Asian and Asian American film through collaborative projects, professional networking events, and educational events. 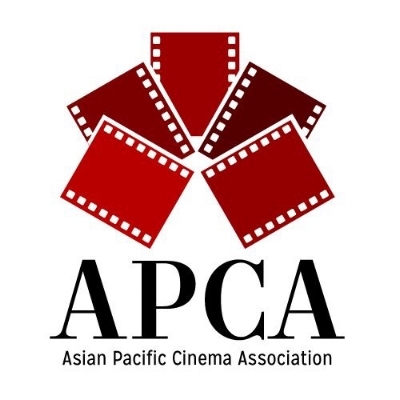 APCA focuses on highlighting Asian cinema and culture to foster deeper, complex representations of Asian and Asian American culture. Description: We're USC's only co-ed bhangra team that is focused on keeping the traditions of punjabi culture alive as well as making a presence known on and off campus. We're a group of students who come from different backgrounds but share the passion and enthusiasm for Bhangra. Feel free to contact any of our members and we hope to gain your support! Mission: The University of Southern California Trojan Bhangra Team aims to promote Bhangra as a dance and an art form to the university community. Description: CASA is a student organization that focuses on social, community, and culture. We host parties, retreats, dumpling nights, tailgates, family hangouts, mixers with other schools, and many other events that will provide you an unforgettable college experience. If you are looking to have fun, meet new friends, celebrate Chinese culture, get involved with the Chinese American community, and find your potential home away from home, check us out! Mission: The Chinese American Student Association (CASA) strives to promote cultural awareness, service the Chinese and Asian American community, and encourage social activity amongst its members. This goal is accomplished through the creation of lifelong friendships and bonds built by activities/events that intertwine the richness of our historic culture with the constant change in our modern culture. Description: Learning Chinese? Learning English? Hoping to do some exotic traveling post graduation? Or maybe you just want to read the menu at Din Tai Fung and feel like a badass? If you answered YES to any of these questions, come join our new club at USC, Chinese English Language Exchange! We'll match you with a native speaker of the language you're learning, and together you'll help each other improve your language skills. If you want to learn another language, make new friends from other countries, and even join in on some fun cultural activities, then this is the club for you! 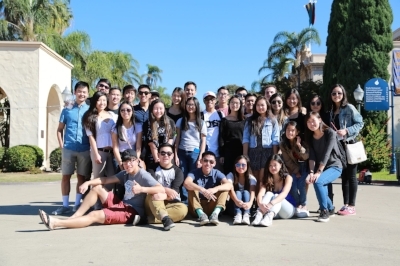 Mission: USC Chinese English Language Exchange promotes mutually learning Mandarin and English in a fun educational environment. Description: In the spring of 1960, eleven Asian co-eds of the University of Southern California, organized the need to foster sisterhood among Asian women and to stimulate an intercultural exchange among themselves and their fellow students at USC. To each sister, Delta Phi Kappa means so much more than just a social organization, but a close-knit bond of everlasting sisterhood built upon faith, love and trust that holds a special place in our hearts. 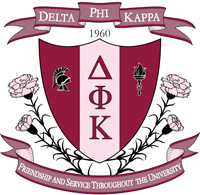 For over 55 years, the sisters of Delta Phi Kappa have been invested in creating a unique balance between academic achievement, professional ambition, social activities, and philanthropic dedication, making Deltas an organization that has been key to opening the door of unlimited opportunities for many of our sisters. Through Deltas, our sisters gain the opportunity to create lifelong friendships, strong networks, and unforgettable memories with a distinguished set of accomplished and caring young women." 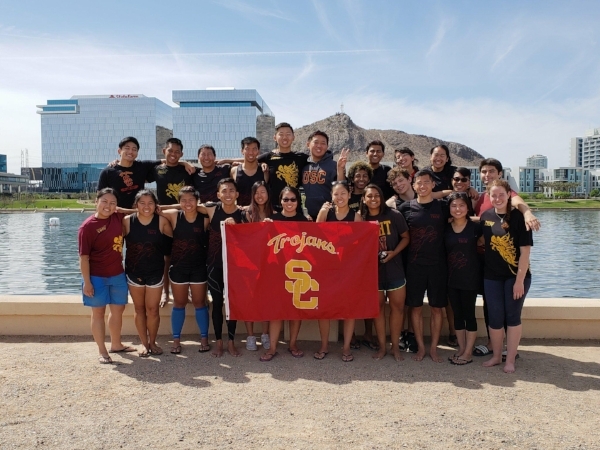 Description: Founded in 2005, the University of Southern California Dragon Boat team is a competitive collegiate team and is entirely student-run and self-supported. The club team aims to promote power, technique and endurance by practicing on the water every Saturday and Sunday morning and working out throughout the week. 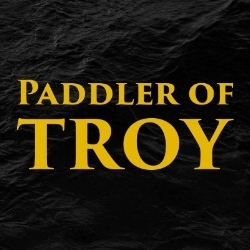 All paddlers, whether beginners or veterans, are welcome! Mission: The mission of Dragon Boat at USC is to explore and promote the sport of dragon boating on the USC campus while bringing people from diverse backgrounds to meet, give back to the community, and have fun. 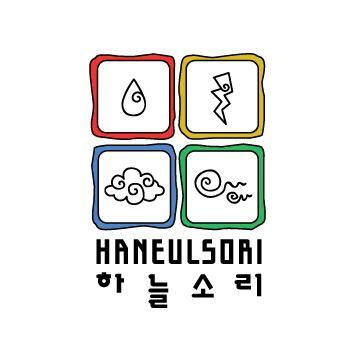 Description: Haneulsori was established in 2009 and became an official USC student organization in the fall 2010. We are dedicated in spreading the knowledge of Korean culture and musical tradition. We are also a very social group for people passionate in 한국악 [Korean Traditional Music]. We practice weekly for various performances, including ChooSeok [Korean Thanksgiving] celebration performance, SeolNal [Lunar New Year] celebration performance, and our GRAND Annual Recital in April. We have occasional outings to awesome places around USC. Mission: The mission of Haneulsori is to spread Korean cultural knowledge and Korean traditional music. We want to provide a social group as well as opportunities to learn traditional Korean instruments. Description: LiNK USC is a Rescue Team that focuses on changing the narrative of North Korea. The narrative of North Korea should focus on the North Korean people, not the regime. We need to share the stories of individual North Koreans, including the challenges they must overcome and the changes they are driving from the bottom up. These stories will inspire action. Rescue Teams are a crucial front line part of the strategy to build up the international support that the North Korean people deserve. We should reveal the individuality and personality of the people, and steer well clear of -- and actively deconstruct -- simplistic portrayals of "brainwashed automatons." 100% of the funds raised through the Rescue Teams' events and fundraisers goes directly to refugee programs. Mission: North Korea represents one of the greatest challenges facing humanity today. Our mission is to change the way the world sees North Korea. Description: MixedSC (previously HapaSC) is a welcoming social community created to connect multiracial students. We aim to explore our mixed backgrounds and experiences, discuss the growing presence of multiracial people in society, and provide service opportunities catered to serving those in our hapa community. Mission: As a club dedicated to inclusivity, MixedSC fosters a sense of belonging. We strive to create a safe environment in which our members can openly discuss what being multiethnic means to them. Description: Hawai'i Club strives to spread the aloha spirit to the University of Southern California and Los Angeles communities, as well as to bring together and support students from Hawai'i and those interested in Hawaiian culture. Mission: The mission of Hawaii club is to bring together and support Hawaii students at USC while taking advantage of the many opportunities unique to the Los Angeles area and spread the aloha spirit. Additionally, we strive to share Hawaiian and local Hawaii culture with other students, faculty and staff at the University of Southern California. Description: Founded in 2002, Kazan Taiko is the one and only traditional Japanese drumming ensemble at USC. The group's name derives from the Japanese word for "volcano" (火山), an explosive force that inspires them and characterizes their playing style. Kazan Taiko is one of the few non-auditioning collegiate taiko groups, and their performances culminate annually with a spring concert, Kazan Matsuri. Mission: Kazan Taiko seeks to provide a place to learn about the deep rooted tradition of Japanese taiko drumming, while allowing members to express themselves through music and movement with both traditional and modern influences. Description: The University of Southern California Korean American Student Association exists to establish and maintain a community that promotes Korean and Korean-american awareness through academic, political, and social activities by interacting with the surrounding communities both on and off campus. We are open to all and our organization’s strength lies in professional and social networking. Mission: To establish and maintain a community that promotes Korean and Korean-American awareness through cultural, academic, and social activities. Description: USC Nikkei serves as a meeting place for both Japanese American Trojans and those interested in Japanese American culture. From adventures in Little Tokyo to our annual Culture Night to activities with other universities’ Nikkei groups, we aim to bring together a community of students enthusiastic about exploring the diverse and vibrant Japanese American community. Though USC Nikkei explores Japanese American culture, we are multiethnic and come from a variety of backgrounds. We are founded on the three pillars of community, culture, and social interaction. Mission: USC Nikkei aims to provide a place for both Japanese American Trojans and those interested in Japanese American culture. Through activities both on campus and in the rich Nikkei community of Los Angeles, we aim to promote the teaching and sharing of Japanese American culture by exploring our roots while finding family in students from all walks of life. Description: SCAPE is dedicated to advocating and supporting those who identify as an Asian Pacific American community--both within USC, as well as in Los Angeles and beyond. SCAPE is committed to promoting issues that APIs face, as well as educating USC students about API communities. It is our mission to forge a safe and brave space for APIs and their allies at USC. Mission: The Student Coalition for Asian Pacific Empowerment (SCAPE), is a student organization at the University of Southern California that advocates for the Asian Pacific American community within and outside the university in the greater Los Angeles area. 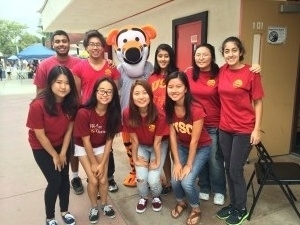 SCAPE is dedicated to educating ourselves and other USC students about Asian Pacific American issues through community involvement and advocacy. Description: Southern California Indo-Americans (SCIA) is USC's student-run, non profit organization devoted to raising awareness of South Asian culture through a combination of educational, social, and cultural events. SCIA welcomes everyone to be a part of this group whether they are interested in any aspect of the South Asian culture or just simply meeting a group of diverse and interesting people. Mission: Through these events, SCIA strives to unify the South Asian population here at USC into a tight-knit unit while fostering long-lasting bonds and encouraging networking within the community. This year, we look forward to building upon this legacy by further strengthening our four cornerstones: culture, community, networking, and memories. Description: Sigma Phi Omega was founded in 1949, and is the oldest Asian-interest sorority at USC and the third oldest in the US. With nine chapters that span the nation, the sisters of Sigma Phi Omega celebrate diversity, uphold tradition, promote both professional and personal growth, and provide endless support to their sisters during and after college. Sigmas have a distinguished history of over 60 years of sisterhood, philanthropy, leadership, and academic achievement. Sigmas hold many social and philanthropic events throughout the year that will give members the chance to interact with people from all over California. The sorority consists of young women with varying interests, who come from different ethnicities and backgrounds. Together, they form a sorority that is considered to be one of the premier organizations in Southern California. Mission: Sigma Phi Omega supports its members in all endeavors, whether it be leadership positions in other organizations or professional success through an extensive alumni network. Description: The Taiwanese American Organization at the University of Southern California was founded in 1995 as a social and cultural club that welcomes all USC students of all cultures. Today, student leaders have continually upheld TAO's mission while taking innovative strides to further the interests of its community. TAO takes the role of integrating the Taiwanese American culture with students of differentiated cultural backgrounds. It is also because of this mindset that in its first few months of creation, enjoyed the enrollment of students from all over the world - including Brazil, Malaysia, and of course, the United States. The diversity that TAO enjoys makes it one of the best student organizations promoting the Taiwanese American culture at USC. TAO now offers social, cultural, AND professional events to members and the student body on campus. Mission: Our mission is to create a diverse, tight-knit community of friends while learning about and experiencing Taiwanese American culture. Description: Established in 2005, USC TCDance is a non-profit organization that serves as an inspirational body to encourage further awareness for Chinese dance as well as to provide inspiration to communities everywhere. We have a tight-knit team of approximately 25 dancers and hold auditions for new members at the beginning of each academic year. Each year we hold a grand dance showcase and drama in the Spring semester. Our team is open to any USC student interested in or passionate about dance and Chinese culture. Mission: The purpose of USC TCDance is to explore, promote, and educate the public about Chinese culture and Chinese traditional and folk dance by performing at on- and off-campus events along with philanthropic events for the surrounding community. Description: Trogons is the first and only East Asian A Cappella at USC! Newly formed in 2013 and part of the EALC Department, we aim to provide all Trojans, regardless of the nationality, ethnicity of the individuals, the chance to explore the culture of East Asia through song and music. Description: USC Troy Philippines is the Filipino-American cultural organization on the University Park Campus. Troy Philippines aims to celebrate cultural heritage, to provide public service, and to instill development for its members, all the while sharing the enriched Filipino-American culture to USC students and faculty, the community, and beyond. Mission: USC Troy Philippines is a student-led organization that seeks to provide its members with an open space that fosters personal growth, self discovery, and cultural celebration. Description: In 1976, it all began when a small group of Vietnamese immigrants came together to unite a culture within the diverse student body of USC and formed the Vietnamese Student Association. Since then, it has grown into an intimate, active, and dynamic organization that aims to promote the Vietnamese and Vietnamese-American culture on campus as well as in the greater Los Angeles community. Mission: The USC Vietnamese Student Association strives to serve both USC student body and the local Los Angeles community. Through the promotion of cultural projects and events, we hope to enrich campus life and become a significant part of the diverse college community. Our goals for the following year include: expanding our membership and retaining active members from the student body, increase participation within the Vietnamese Community within the Los Angeles Area as well as the Southern California region, promote our Vietnamese heritage and educate those that are interested in Vietnamese culture. Description: Zeta Phi Rho is a multicultural fraternity that fosters personal growth through academics, social networking, and philanthropy. Mission: Zeta Phi Rho redefines “fraternity”. By creating a genuine and strong brotherhood that sticks to true values, ideals, and the Distinguished Gentleman way of life, we set ourselves apart from the rest. We exist as a movement to break down the negative stereotypes of the current fraternity system and transform this system into one that can serve and respect students from all backgrounds. Ultimately, we seek to positively impact our campus and community through promoting scholarship, leadership, service, respect for women, and the development of a strong cohesive multicultural community.